20 years of trials and hardships, 20 years of picturesque scenery, the day June 6th 2018 is the 20th birthday of TMP. 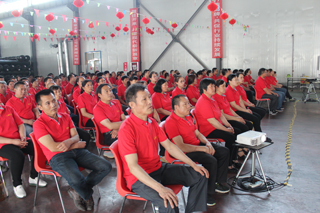 Bearing the harvest and blessings, the celebration meeting was held in the Non-woven Geotextile Workshop of the Factory 3 of the company at 8 A.M. All employees of the company gathered to share the happiness and joy from the big family. 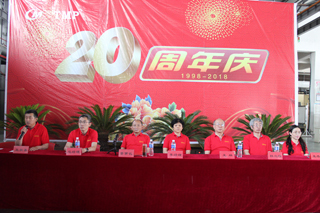 First of all, as a participant, leader, and witness of the company's 20-year development history, the president of the company delivered an important speech. He reviewed the hardships of entrepreneurship in the past 20 years, fully affirmed the company’s achievements, and also pointed out that the company will continue to consummate in many aspects. There are many things that we need to study modestly. We have no reason to be complacent and standstill. To transcend relying on innovation and to become well know based on integrity, which is the core idea that guides us to continuously create miracles. He hoped that all the staff will continue to work hard in the new development process and move forward towards further goals. Twenty years of baptism, from the setting sail to blazing a trail, from little stars to brilliant stars, every staff of TMP work hard to achieve success. On this occasion of the holiday, the company honored the 15 working years’ employees and continuous 5 years advanced workers. The company also expressed the highest regard and sincere thanks to all the staff and their families. 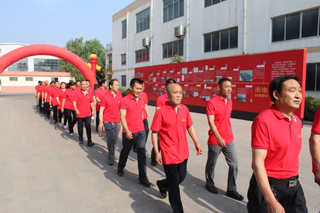 On the next step, as the guide of the company for the next 20 years, the general manager delivered a speech. In the first 20 years, we are heroic bearing. 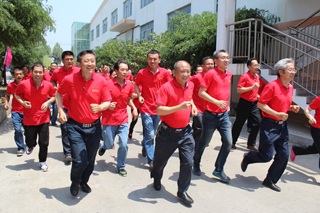 In the next 20 years, TMP will still take integrity and quality as its core development philosophy and will drive the company toward a higher goal. The past 20 years progress left us with valuable wealth and massive responsibility. TMP staff witnessed yesterday’s hardships, and will guard against arrogance, and stand at a brand new starting point. We will go forward hand in hand with high-spirited, and will achieve success on the new journey.